Nowadays, you could describe CBD Oil as being all the rage. It has grown immensely in popularity as people start to understand more about cannabis-related products and their various benefits. CBD is short for cannabidiol, and though this product is derived from cannabis plants, it contains no THC which is the element that makes people (or pets) high. New research continues to show that CBD as a medicinal product can have a huge amount of benefits for a wide range of problems both physical and mental. CBD can be consumed in a variety of ways and CBD oil products are becoming increasingly popular. Problems that can be helped by this product include cancer, anxiety and depression, allergies and skin conditions, and so much more. This article is designed to be a beginner’s guide for pet owners and gives a quick overview of some of the questions a new user of this oil may have in terms of using it on pets. It is natural to have questions about the safety and logistics of using CBD oil if you are new to it. Is CBD Oil Harmful to Dogs? Ask most pet owners and they will agree that their dog’s health and welfare is, of course, the number one priority. CBD oil is not harmful to dogs (and other pets) in itself, but as with any product there is a risk of overdose and taking the correct amount is important. Overdosing will not be fatal, but will require treatment and give your dog a nasty few days of being unwell. This is very rare. Negative reactions to the CBD oil are also extremely unlikely, as is anything life-threatening. To put some context on CBD, it is likely that a dog will be more at risk if they accidentally eat a product with chocolate or raisins than from an overdose of CBD. However, it is important to be safe! Consult with your vet if needed and make sure that your dog is consuming the correct dosage for their size. Will CBD Oil for Dogs Get My Pooch ‘High’? It’s a natural question many people have. The risk of your dog getting high is virtually non-existent, especially if you purchase reputable CBD oil for dogs. This is a product designed to be totally natural, with no THC in it. THC is the element that can cause a high or a buzz in Marijuana, but isn’t present in CBD oils, hence no buzz. An effect in mood such as a calming effect on your dog is possible, but this is not related. Your dog will still be his or her natural self. How is CBD Oil Given to Dogs? 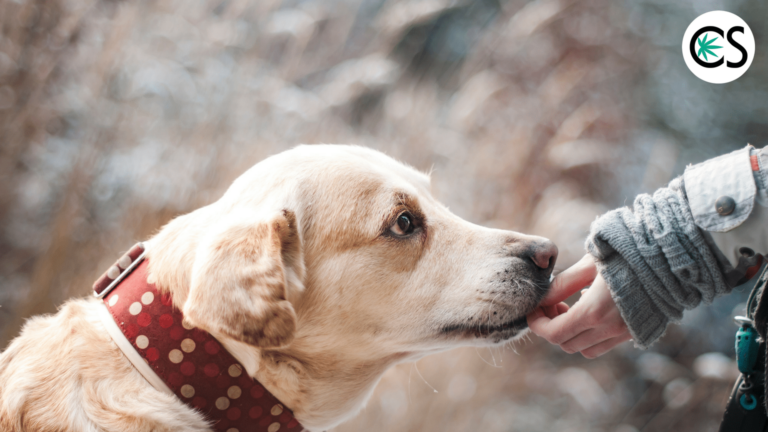 It is possible to treat your dog topically with CBD by applying sprays and other products to the specific areas you want to target; however, this is less common. Generally, administration takes place orally from a CBD tincture or disguised in a tasty CBD dog treat (Use coupon code: school10 for 10% off!). 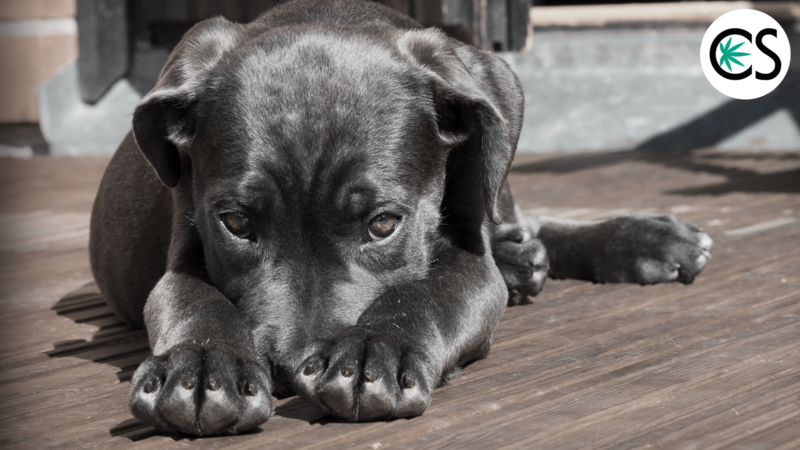 One common question is whether or not it is worth giving cannabis oil products to dogs. People are often worried about a risk factor, and not totally understanding of the benefits and this can lead to a lot of fear. Of course, it is up to each pet owner’s discretion. Not to mention. the advice of veterinarian should be taken into account too. But realistically speaking, the risks are extremely low, the price is relatively low, and the potential benefits are huge! Stress and mental issues such as depression, anxiety, and aggressive behavior. Skin conditions and irritations including allergies. There are also claims and studies taking place to explore the merits of CBD for treating cancer. In fact, many owners are turning to CBD products to use in conjunction with traditional cancer treatment. CBD may help in combination with other treatments, such as chemotherapy and radiotherapy, to kill cancerous cells and at the very least can help your dog deal with the side effects of these treatments. Where Can I Buy CBD Oil and Cannabis Oil? When purchasing CBD for dogs, you always want to purchase high-quality CBD that is derived from hemp (0% THC). Seeing as CBD product derived from hemp do not contain THC (the psychoactive component), it is legal in all 50 states. Hemp products can be sold over the counter or over the internet. Just make sure the manufacturer is offering an all-natural, non-GMO CBD product that doesn’t contain harmful additives like soy. Additionally, they should also have a certificate of analysis of their site to prove they are lab-tested. Honest Paws (Use coupon code: school10 for 10% off!) meets all these requirements and has already changed so many pets’ lives. If you are a beginner, new to the world of CBD hemp oil, it can be overwhelming. But rest assured, it’s quite simple. CBD hemp oil is doing wonderful things for pets. There are so many healing properties and mentally impactful properties in CBD oil that the chances of seeing some sort of benefit in your dog is quite high. Caution is always advisable and an understanding vet will be able to help you to put together the correct treatment for your dog. I recently started using CBD oil to help my dog with reactivity, particularly anxiety when meeting new people. Though it’s hard to tell how she is feeling because she can’t talk, I do notice a difference in her – she does seem a bit more relaxed, but it really has to be used in combination with training to create positive experiences at her own pace. I’m hoping that it not only relaxes her, but opens up her mind and changes the way she sees visitors.